Upcoming ARISS contact! An ARISS educational radio contact is planned with Mendez Fundamental Intermediate School, Santa Ana, CA, direct via AA6TB. The ISS callsign is presently scheduled to be NA1SS and the scheduled astronaut is Ricky Arnold KE5DAU; contact is a go for: Thu 2018-09-06 16:49:52 UTC 81 deg. Downlink signals from ISS will be audible over parts of USA on 145.800 MHz narrowband FM; contact will be in english. Credit: AMSAT. Any informations about this radio contact are welcome! 1. 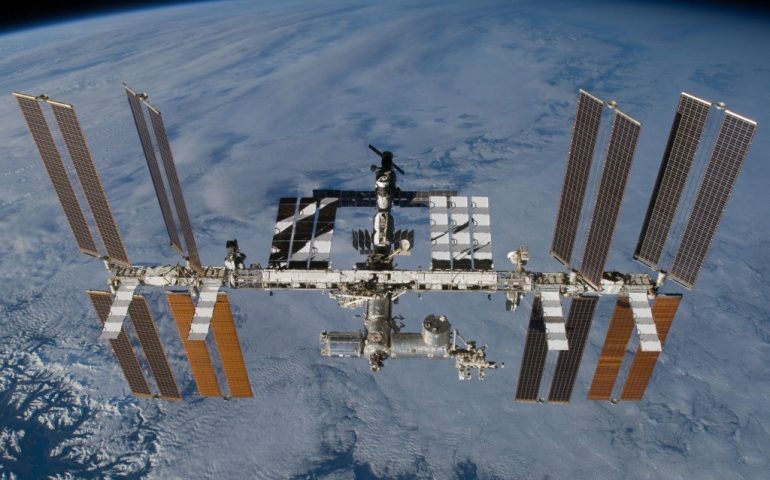 How is using a ham radio on the ISS different than operating one on Earth? 2. I was wondering if any of the current crew members are artists and if yes, how is it different from doing art on Earth? 3. How is it determined which astronaut conducts which experiments and can you choose which experiments to work on? 4. How does your research on salmonella in microgravity relate to life on Earth? 5. What do you do during your free time and how much free time do you have? 6. How do you deal with the lack of privacy on the ISS? 7. What is something you forgot to bring or wish you’d brought with you on this mission? 8. I’m always losing stuff. Have you ever lost something on the Space Station? 9. How has your time living on the ISS affected the way you live on Earth? 10. I want to be an astronaut when I grow up. What advice can you give me? 11. What is the thing you miss most while on the Space Station? 12. Our school sent up a student space flights experiment in 2016. Are you currently working on any student experiments? 13. How has your time in microgravity affected your coordination and vision? Have you noticed any lasting changes? 14. Do you ever get to contact your your family? If yes, how? 16. How did teaching in a classroom prepare you for doing science on the ISS? 17. How do your eyes adjust to the constant change from daylight to darkness as you circle the Earth? 18. Will you continue your exercise regime when you get back to Earth? 19. Do you ever feel nauseous when you are in space? What do you do if you get sick? 20. When you are sleeping on the ISS, what do you hear?